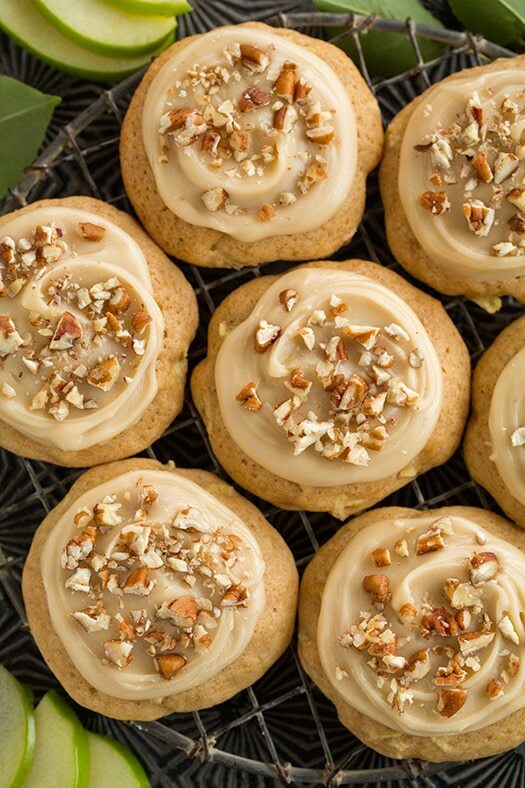 A soft, deliciously spiced cookie that tastes just like a caramel apple? Yes please! 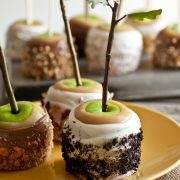 If you like caramel apples then you will love these cookies! 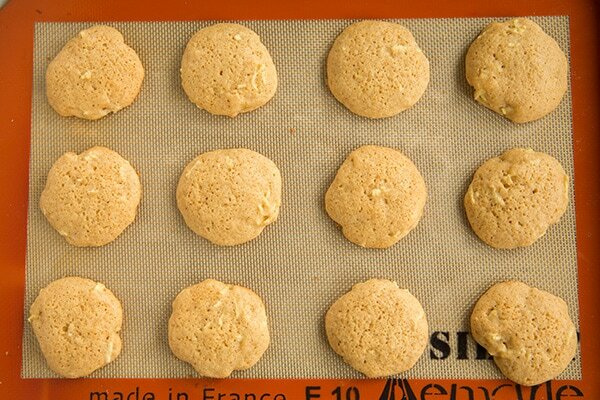 They are loaded with Granny Smith apples (the traditional apple of choice for the real deal) and I also tossed those apples with lemon to enhance the slight tartness (so it doesn’t just fade away entirely once baked into the cookies). 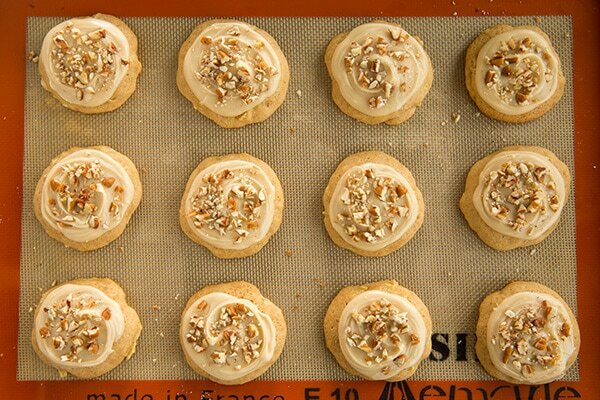 They have the perfect amount of cinnamon and nutmeg, just enough to highlight the cookie without overpowering and they are laced with the delicious flavor of brown sugar (both in the frosting and the cookie) to mimic the rich, toffee-like flavor of caramel. And these are finished with pecans both to add a contrasting light crunch and because they are such a great topping choice on a real caramel apple. 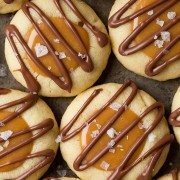 It’s always fun to try new cookie recipes and you can never have enough, especially when it comes to one like this that is just pure deliciousness! 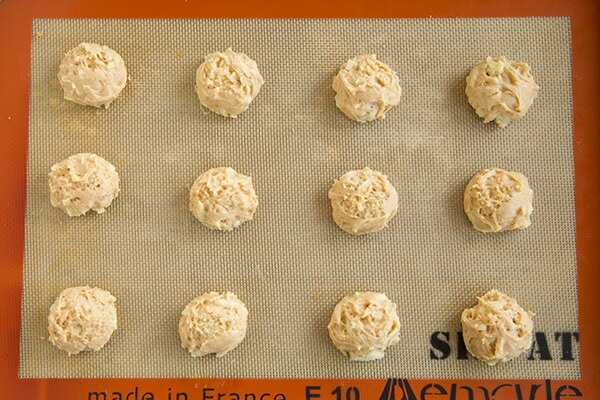 Caramel apple + cookie, yes you really need them :). Enjoy! 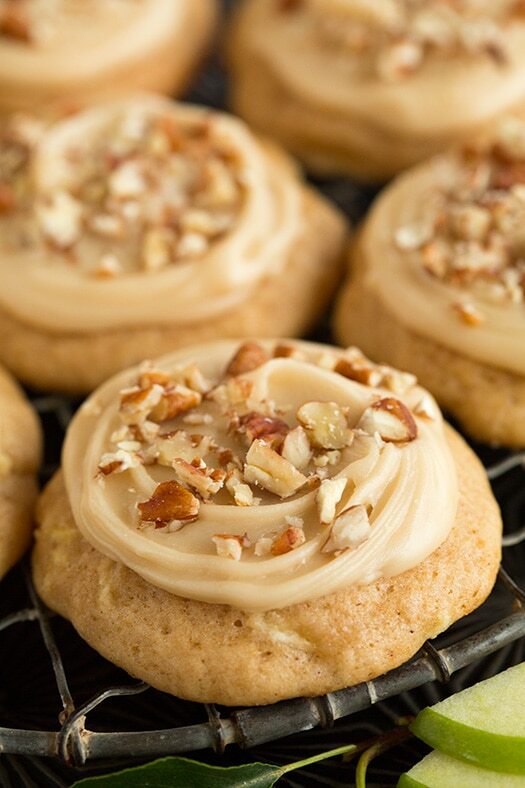 Soft cake-like cookies with a delicious addition of sweet apples and finishing tough of a rich caramel frosting.